Visakhapatnam: The three districts of Srikakulam, Vizianagaram, and Visakhapatnam, collectively referred to as Uttarandhra (North Andhra), remained backward on the education, health, and agriculture fronts despite having all the resources due to the indifference of the successive governments, observed speakers at a meeting organised here on Sunday. 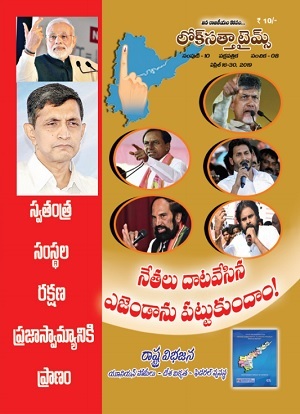 Almost all the assurances pertaining to North Andhra given in Parliament at the time of bifurcation remained mere promises even three years after the ruling parties, the TDP and the BJP, assumed power. The TDP government in the State was not even sending proposals to the Centre for taking up projects promised to the region even as it was constantly pursuing those in the capital region and undertaking them in the fast-track mode. Chief Minister N. Chandrababu Naidu was bent on repeating his mistake of Capital-centric development, they said. The speakers demanded that Mr. Naidu announce a definite time frame for completion of the projects promised to North Andhra before the party’s Mahanadu in Visakhapatnam. APCC president N. Raghuveera Reddy wondered as to what was preventing the Centre from declaring the new railway zone in AP with Visakhapatnam as headquarters. 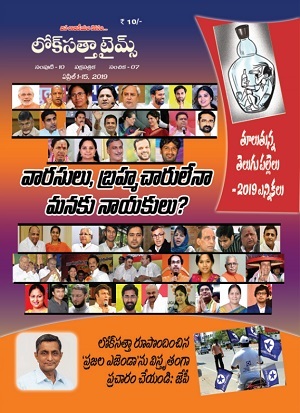 The 25 issues raised by former Minister Konathala Ramakrishna on the backwardness of Uttarandhra could be solved by implementing the promises made in the AP Reorganisation Act such as granting Special Category Status (SCS) to the State and special package to North Andhra and the backward districts of Rayalaseema. Mr. Reddy demanded that the Mahanadu declare, as its first resolution, the completion of the projects promised to North Andhra in a fixed time frame. Lok Satta president Jayaprakash Narayan reeled out statistics to show the high infant mortality, low literacy, low per capita income, and rampant poverty despite a vast coastline and abundant water resources that had not been tapped. He demanded implementation of all projects under the Uttarandhra Sujala Sravathi, extension of Polavaram Left Main canal up to Srikakulam, and linking of the Mahanadi and the Godavari, which could benefit both South Odisha and North Andhra. Former MP Kanithi Viswanadham of the BJP hoped that a fitting reply would be given to the Chairman of the Railway Board for questioning the need for a new railway zone. CPI State secretary Ramakrishna, CPI(M) State secretary P. Madhu, and former UPSC member K.S. Chalam were among those who spoke.